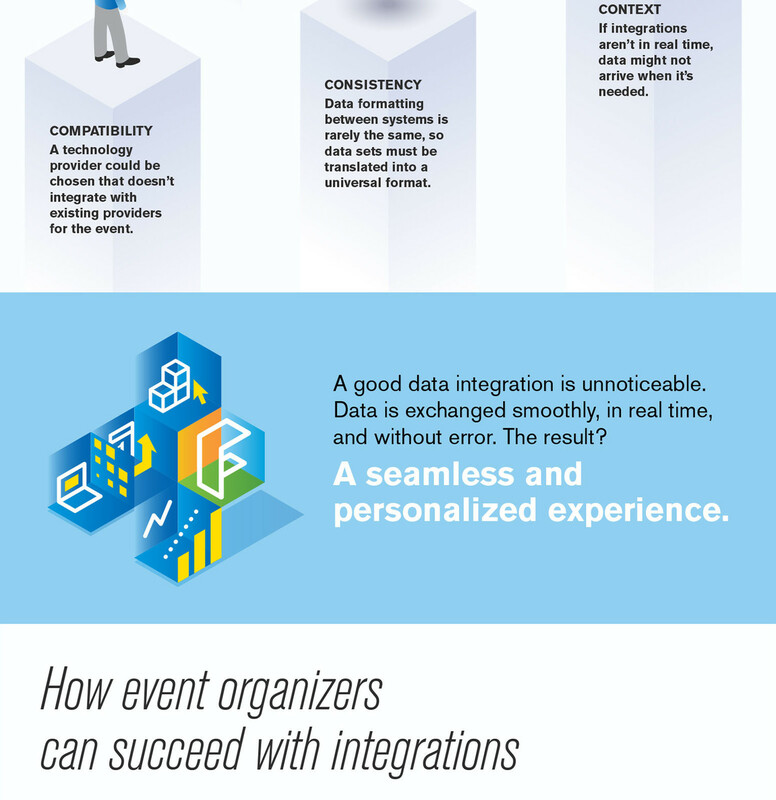 More technology, more data — that's the challenge that faces event organizers in today's world. 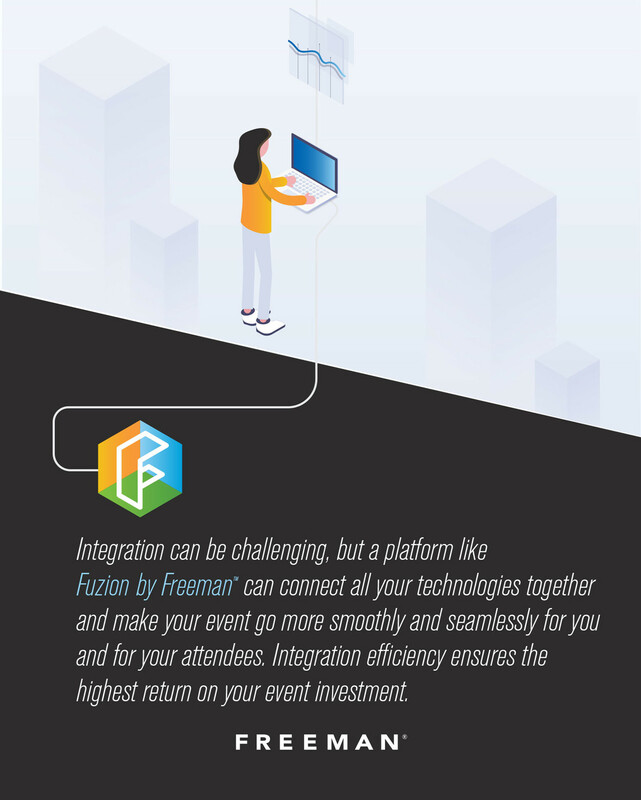 The rise of amazing event technology has the ability to make events run more smoothly and create a great experience for exhibitors and attendees, as well as provide key data insights for organizers. 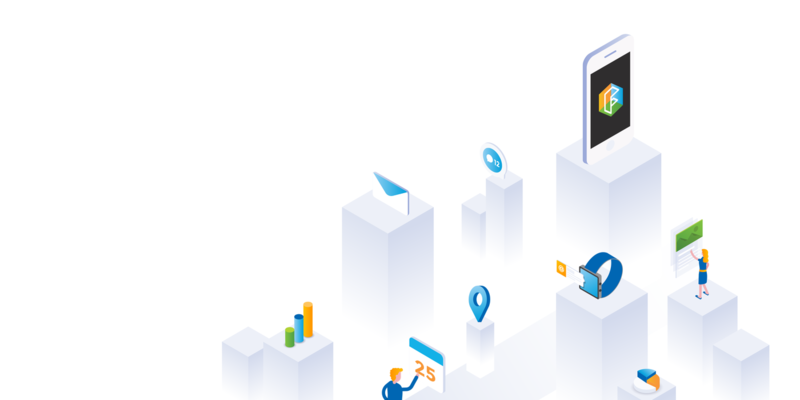 But with an app for this and a service for that, how do you ensure that everything works together in harmony, passing key data back and forth in a seamless system? 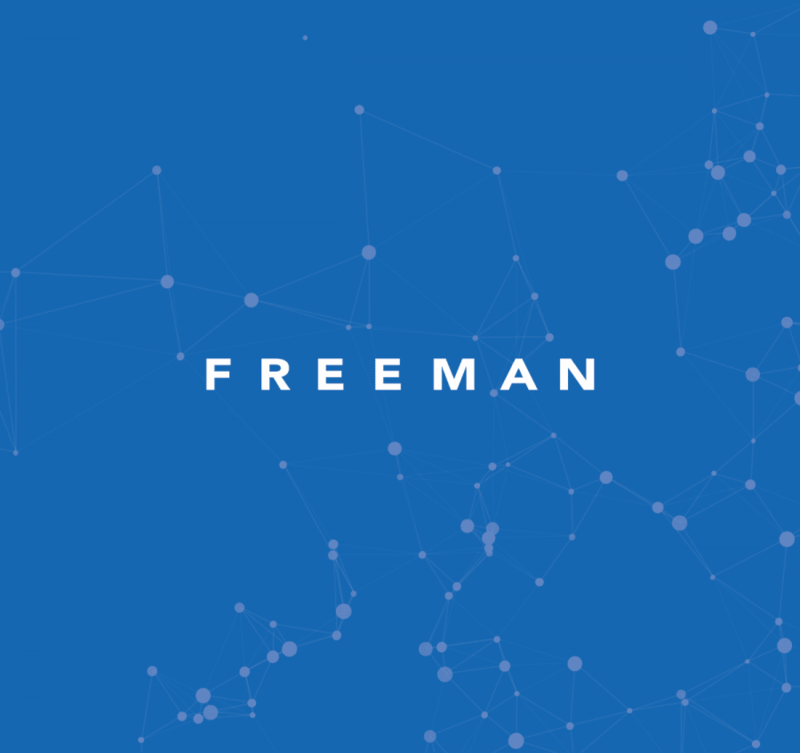 That's where data integration comes into play. 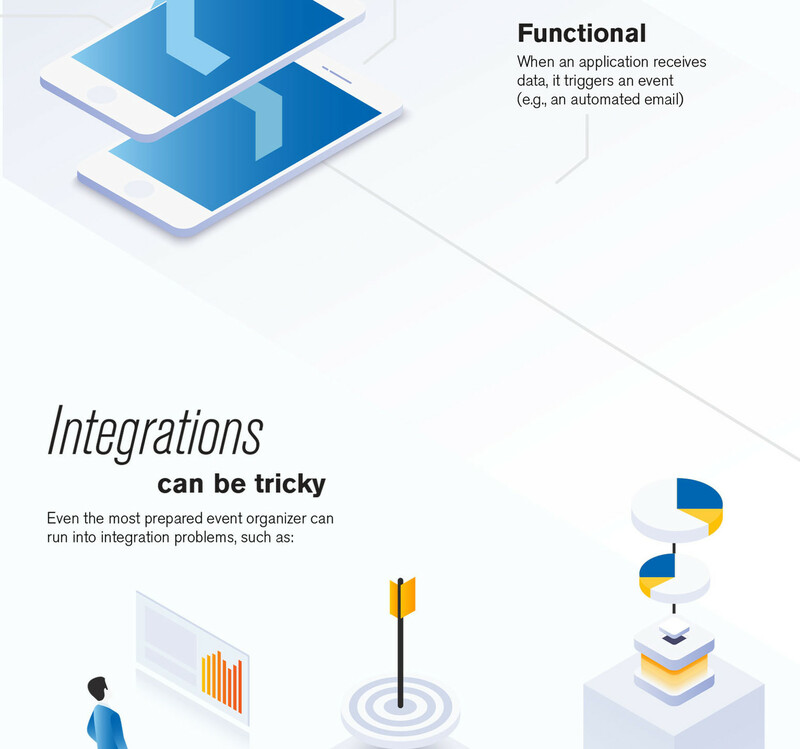 Having a smooth integration is a must, and it requires the right strategy and integration platform to make things work. 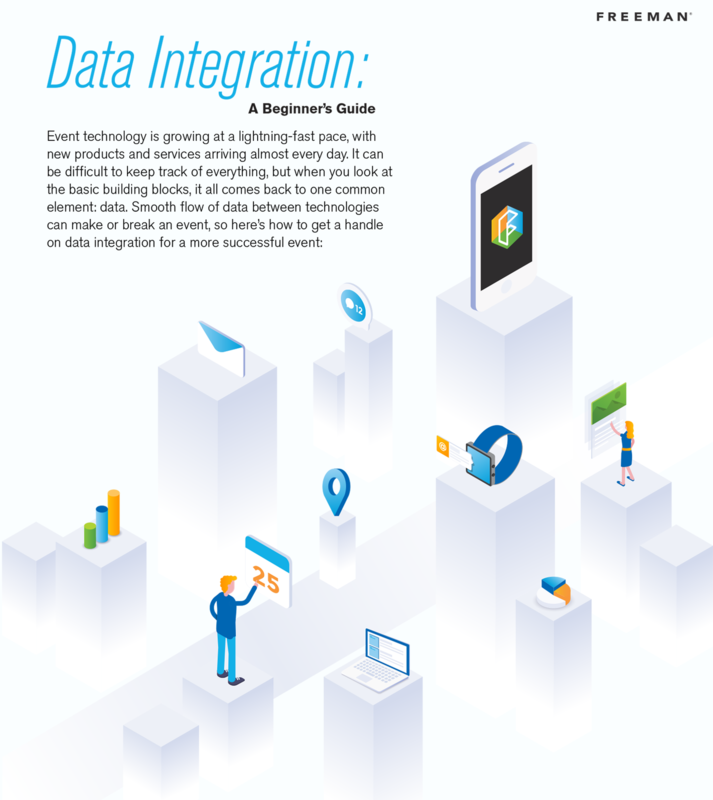 Our infographic walks you through the data integration basics and tips you can use to make your own integration a success. 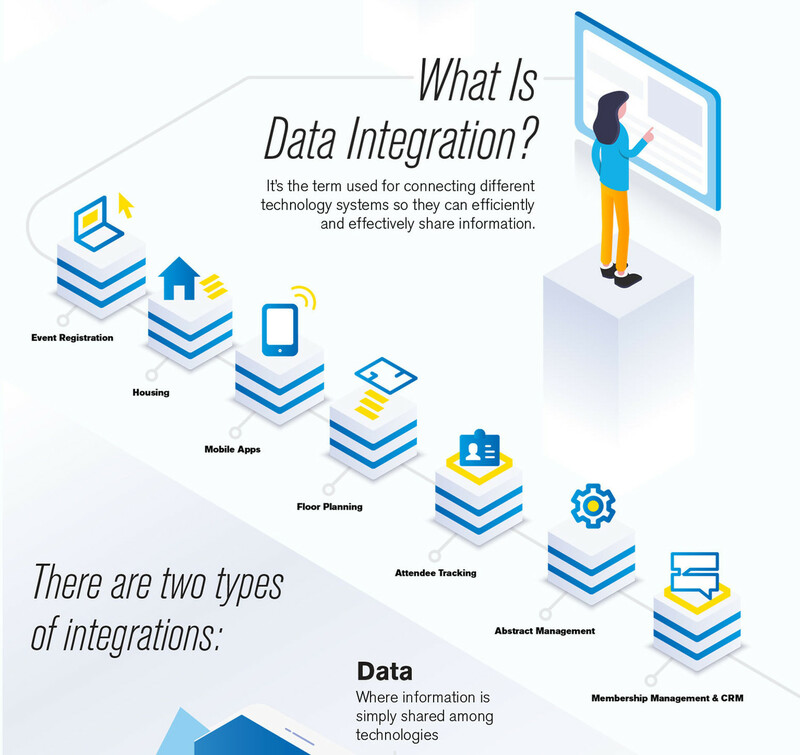 Want to learn more about data integration? 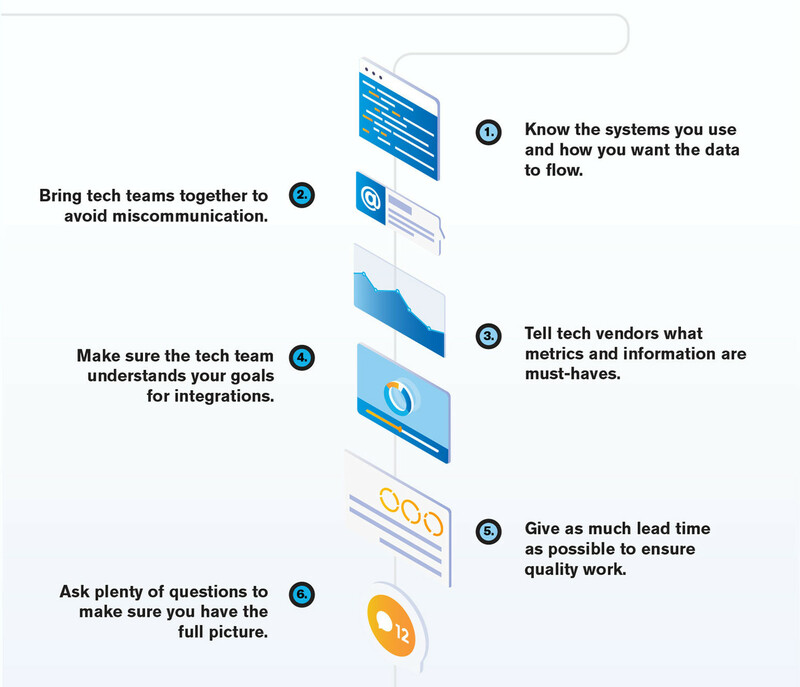 Download our latest insights paper for an in-depth look at what you need to know.